If you hold a capital asset — thinks like corporate stock or raw land or a rental property (via Section 1231) — for more than one year and sell it for a gain, you pay tax at preferential tax rates. Under current law, your preferential rate depends on your income level, with potential rates of 0%, 15%, or 20%. President-elect Trump would retain those same three rates on capital gains, but there’s a twist. Based on his proposal, there is a group of taxpayers who under current law pay 15% on their gains, but who under the Trump plan would pay 20%. It works like so: under current law, the 20% top rate doesn’t kick in until you earn more than $425,400 (if single, or $487,650, if married filing jointly. 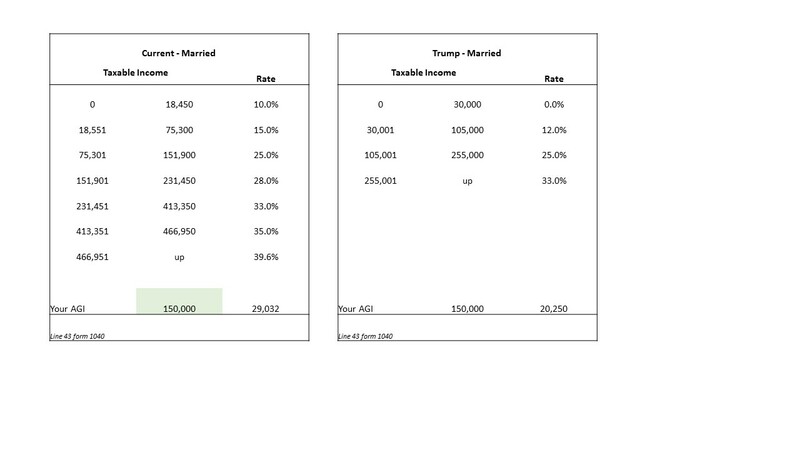 Under Trump’s tax plan, however, all taxpayers in his top tax bracket would pay a 20% rate on capital gains, and as of this writing, his top bracket begins at $127,500 (if single, $255,000 if married filing jointly). As a result, if you’re single and your taxable income — after including any gain from the sale of your asset – would be between $127,500-$425,400, or if your married and your taxable income — after including any gain from the sale of your asset — would be between $255,000 and $476,650, you can save 5% of federal taxes by selling prior to the end of 2016. This assumes, of course, that any changes to the tax rates coming down under President Trump would be effective on January 1, 2017, and while that may not be the case, in the tax planning world, it’s best to prepare as if any changes will arrive at the start of the next year. Business income includes not only income earned through an S corporation or partnership — which is taxed at the individual owner level rather than at the business level — but also any earned income as a sole proprietor or independent contractor and reported on Schedule C on your tax return. If you’re capable of some basic math, the opportunity starts to reveal itself. If you are single and earn a salary of $300,000, you will pay a 33% rate on more than half of your income, with the overwhelming majority of the rest of the income taxed at 25%. But if you convert your employment relationship to that of a consultant or independent contractor, that same $300,000 of income would be subject to a flat tax of 15%. Let’s say, for example, that you set up an S corporation and engage your employer to pay your S corporation as a consultant. Ignoring for the moment any rules the Trump administration may come up with to prevent such a change, the $300,000 would not be taxed at the corporate level. The S corporation would then be required to pay you, as its shareholder — reasonable compensation (much more on that here), which we’ll call $100,000. On your individual return, that $100,000 salary would be taxed at 33%, but what have you done? The remaining $200,000 of income will flow through to your individual return as “business income,” where it will be taxed at 15% instead of 33%, thereby saving you $36,000 in income taxes. Even better, under an old tax law — Revenue Ruling 59-221 — the $200,000 of S corporation fl0w-through income is not subject to payroll taxes (which can rise to as much as 15.3% on some of your income, 2.9% on the rest), and the $200,000 of cash can be distributed tax-free from the S corporation to you. Gifts to charity are deductible under current law as “itemized deductions.” Since 2013, the itemized deductions of high-income taxpayers (those earning more than around $250,000 if single, $300,000 if married filing jointly), are reduced by 3% for every dollar the taxpayer’s income exceeds those thresholds. President-elect Trump, however, is proposing a much more dramatic limit on itemized deductions, promising a top cap of $100,000 (if single, $200,000 if married filing jointly). At the time of this writing, it is not perfectly clear whether charitable contributions will be subject to this limit, but if they are, you may enjoy a much larger tax break if you make the contribution in 2016 — where it will be subject to the smaller, 3% Pease reduction described above — as opposed to 2017, when it could be subject to the hard cap. As 2016 comes to a close, business owners will likely feel pressure to accelerate the purchase of business assets before year-end, so as to take advantage of the numerous depreciation incentives in the law and reduce the current year tax bill. As a reminder, when you purchase an asset, you generally may only deduct the cost of the asset over a period of years, with the length varying from 3 to 39 years depending on the nature of the asset. There are also incentives that allow an immediate write-off of 50% of an asset’s cost (so-called “bonus depreciation”) as well as, subject to a $500,000 limit, the complete expensing of an asset’s cost. As 2016 comes to a close, you may feel tempted to do once again accelerate as many asset purchases into this year, particularly because, as described above, all business income that is currently taxed at rates as high as 35% (for C corporations) or 39.6% (for partnerships, S corporations, and sole-proprietorship) will be taxed at only 15% under the Trump plan. So why not take deductions NOW and offset income taxed at a much higher rate? Here’s why…President-elect Trump has proposed allowing for 100% expensing of all asset acquisitions, with no limitation. As a result, you may get a much greater bang for your business buck if you hold off on buying assets until 2017. Sorry to sound so dramatic, but President Trump is proposing to eliminate the estate tax, making the next four years as good a time as any to head towards the light. And if that doesn’t convince you to pack it in, don’t worry; with anti-Trump protests turning more violent on a daily basis, this decision may soon be out of our hands. Would it be eliminated entirely or phased in over a period of years? Would the gift tax be eliminated with it, or would it be preserved so as to avoid income shifting (i.e., Mom gifts an asset to lower-income child, child sells the asset and pays less tax than Mom would, then child gifts the cash back to Mom)? Trump has proposed taxing the appreciation inherent in the assets of certain estates (value in excess for $5 million if single, $10 million if married), thereby preventing the tax-free “step-up” that occurs under current law when a decedent passes on assets to a beneficiary without gain, and with the heir’s basis in the assets equaling its fair market value. Would this gain be taxed at death? Or would the heir take a basis in the assets equal to the decedent’s basis, so that the gain is deferred until the heir sells the asset? The Trump campaign seems to indicate it would be the latter, but we’re not certain yet. All of these strategies should be undertaken with care, as 1. We don’t know if they’ll become law, and 2. We don’t know WHEN they’ll become law. But big changes are likely coming, and we’d be remiss if we didn’t plan accordingly based on the best information available. 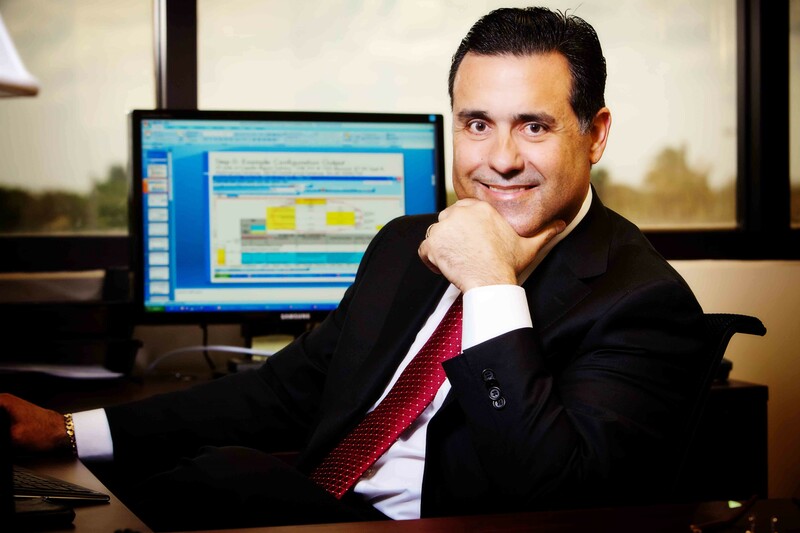 Gustavo A Viera is the managing partner of Gustavo A Viera, PA. His experience spans more than 25 years. He started his career in public accounting at PriceWaterHouseCoopers where reached the level senior audit manager. His Fortune 500 experience includes positions as CFO – Latin America Region for both Hewlett Packard and Telefonica of Spain. Gustavo also writes a blog twice a week that addresses trending accounting and tax issues. He is an SBA Advisor and teaches workshops for aspiring entrepreneurs. His office is located at One Alhambra Plaza Floor PH Coral Gables FL 33134, and is admitted to practice in the State of Florida as a licensed Certified Public Accountant. Gus welcomes questions and he can be reached at 786-250-4450. Do Clients Want Management or Leadership From Accountants?